« MONSTERA_Monstera deliciosa » MULBERRY_Morus spp. 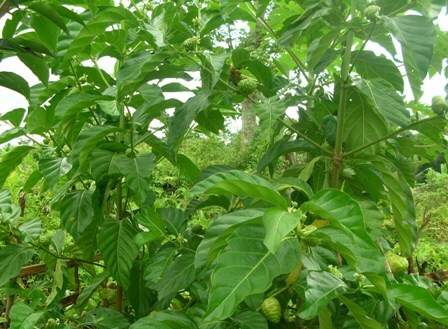 Noni is now known more for its medicinal properties than for the fruits which do not have a very agreeable odour. This is the reasons that one of its many names is “cheese fruit”. But still fruits are edible. However, these are eaten only in the times of food scarcity. Noni is basically a tropical plant. 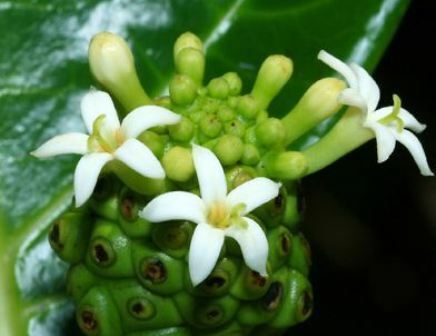 It is widely grown in Polynesian islands and seems to have spread to other parts of the world from there only. It used to be cultivated in India as a field crop for use as a source of dye. But then with the arrival of synthetic dyes, its cultivation stopped and the plants are now found only in wild state. 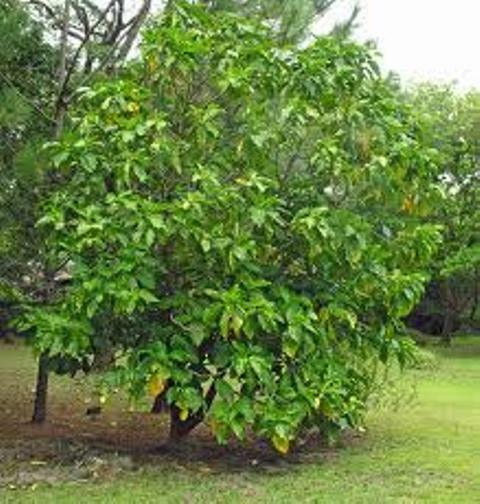 A small glabrous tree, trunk straight, bark smooth, yellowish white; branchlets obtusely 4 angled. Leaves 12-20 cm long, 7-10 cm wide, broadly elliptic, acute, acuminate or obtuse, bright green, glabrous, shining, one of the pairs next to peduncle often suppressed, base acute; main nerves 8-10 pairs, prominent; petiole 12 mm long, stipules connate, short, over 25 mm long; peduncles solitary. Calyx-limb truncate; corolla infundibuliform; tube 166-18 mm long, the mouth hairy, lobes 5, lanceolate, acute; stamens 5; filaments hairy; anthers about half exerted. 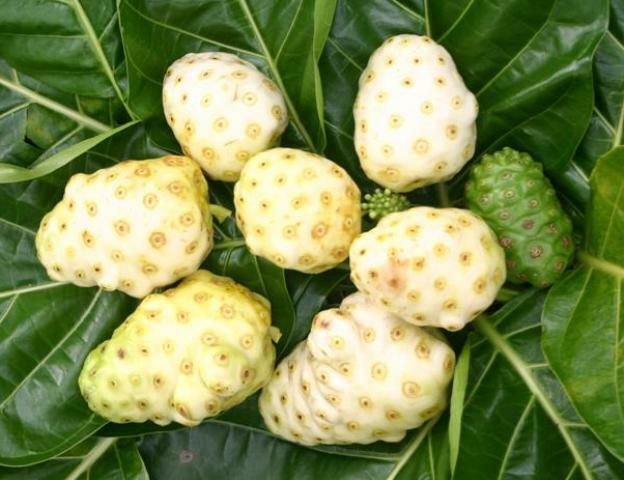 Noni fruits are edible but not relished much as fresh due to cheesy smell. But still these are eaten in many parts of the world during the times of shortage. Tender leaves of noni are cooked as a pot herb. Nearly all the parts of this tree are reported to be of some medical value. So noni is becoming commercially quite important now a days and so many health promoting preparations of noni are now available in the market. Noni can grow well on sandy and rocky shores. Apart from saline conditions, it can also withstand drought and can grow in secondary soils too. New trees can be raised from seed. These should be planted at a distance 0f 3-4 m. It takes 3-4 years for a newly planted tree to come into bearing.